KSQ’s Employee #1, Kimberly has more than 20 years of architectural experience including planning, programming & design, on a wide variety of project types. Her expertise, attention to detail and work ethic have proven invaluable in her two decades at the firm. 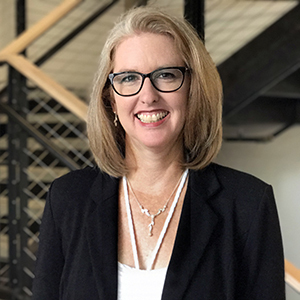 In addition to working on our client’s projects, Kimberly also oversees the budgeting, acquisition and implementation of new technology at KSQ. Knowing everything about everything at KSQ for as long as anyone can remember. Her calm, cool and collected demeanor–she handles every situation with the utmost grace.